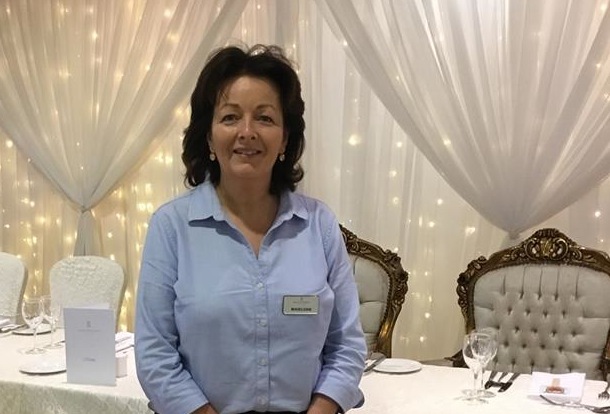 Madeleine McLaughlin, Wedding Co-ordinator with Ballyliffin Lodge Hotel. Ballyliffin Lodge Hotel is asking Inishowen to get behind their wedding coordinator, Madeleine McLaughlin who has in the run for an award. Madeleine McLaughlin (picture) from Malin is nominated for Best Wedding Coordinator 2018 in the annual Wedding Dates Awards and voting closes tonight (Friday). All the team at Ballyliffin Lodge hope you can get behind their staff member and cast your vote with a simple click by going to this link. Voting closes tomorrow night on this and just doing my bit to try and help not only Madeleine win but I think it’s a great story for Mayo V Donegal and would be great to bring the Award up here. Please see link below and let me know if you wish for anything of me on this, you can call or mail. I just thought it could be a great story and be great to get all of Inishowen and Donegal behind her. If you want to say a big thank you to your Wedding Coordinator and give them the chance to shine among their peers, please take the time to Vote for them bon the link above. Again, voting closes tonight and winners will be announced by December 5.